The quarter’s winner is Liana Finer, Athletic Trainer at Kailua High School in Kailua, Hawaii. 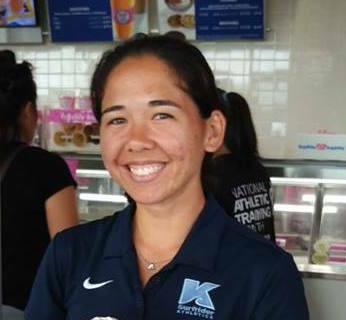 Liana helped establish Kailua High School as a NATA 1st Team Safe Sports School. Her colleagues are always impressed with how Liana goes the extra mile in making sure her student athletes are well taken care of. Please join us in congratulating Liana on winning the Excellence in Athletic Training Award!